Professional services firm Accenture says that, over the next five years, companies worldwide risk losing an estimated $5.2 trillion in value creation opportunities from the digital economy—almost the size of the economies of France, Italy and Spain combined—to cyber attacks. unfit for current demands and are insecure. This, Accenture says, has led to increasing challenges that Chief Executive Officers must address. The report states that it is in the “enlightened self-interest” of large businesses to extend themselves to help build a secure Internet. Accenture’s survey found companies that have experienced 50% or more of their breaches from indirect attacks – targeted at their organisation but initiated through partner organisations – are more likely to join or lead efforts to ensure the trustworthiness of the Internet economy. But no organisation should need a “wake-up call” to join an effort that results in effective guidelines and standards and influences the development of smart regulations, states the report. CEOs are reportedly stepping up their spending on cyber security to protect their businesses. In its latest security forecast, research company Gartner projects that such spending was more than $123 billion for 2018 and will grow by 10.8% per year to nearly $170.5 billion by 2022. 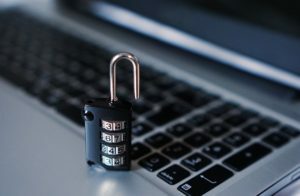 However, Increasing a company’s cybersecurity budget may not be the answer according to 61% of CEOs who believe that the security issues of the digital economy are far too big for their organisation to handle alone. Accenture says 86% believe that taking business resiliency to the next level requires an ambitious new vision for the Internet.